Founded in 1981 as a dance-in-education company, Tasdance has evolved into an award-winning, dynamic Australian company presenting programs that develop artists, extend audiences, and engage communities. The repertoire of Tasdance reads like a Who’s Who of Australian contemporary dance and in the 30 year history has created over 180 new Australian works, by over 80 choreographers. Tasdance has a national reputation for strength, diversity and innovation in its presentation of contemporary Australian work both around Tasmania and interstate. Have you got something to share? Get in touch by email, join us on facebook or give us a call on 03 6331 6644. We’d love to hear from you! 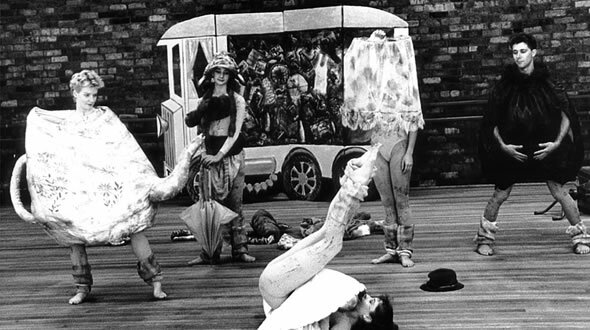 View photo albums of Tasdance company groups from 1981–1994 with Jenny Kinder as founding Artistic Director and from 1997 to the present with Annie Greig as Artist Director.